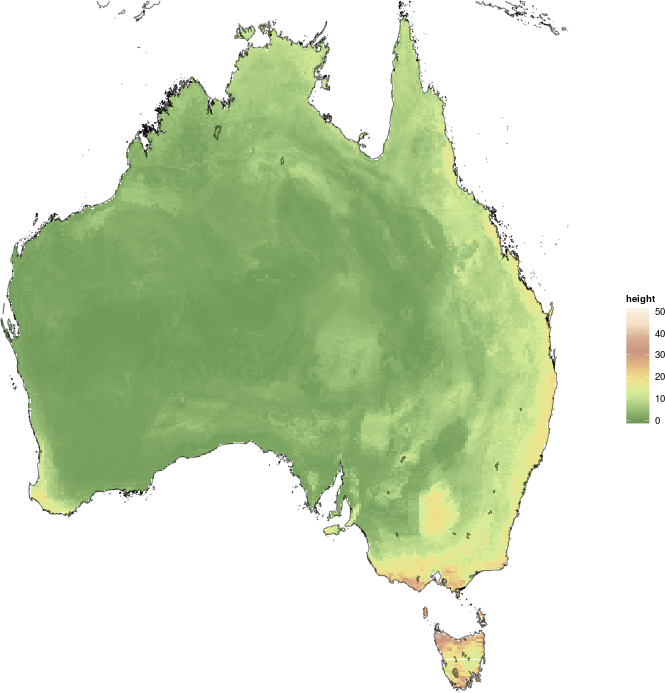 Previously, we produced a map of eucalypt height across Australia. Let's explore this a little further. 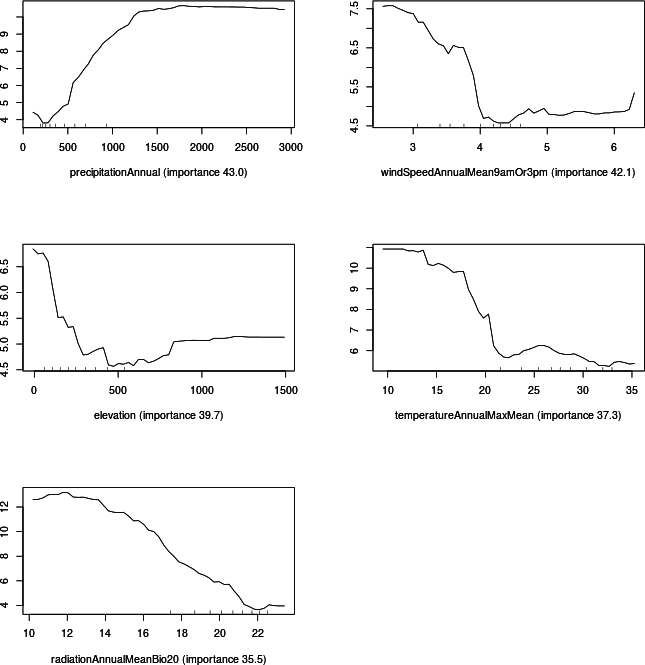 From the partial plots, we can see that tall eucalypts are associated with high rainfall, low wind speed, low elevation, and low radiation. The association with temperature is less clear: low temperatures (below about 20 °C) are associated with tall heights, but little of the data actually falls in this range (the small ticks along each x-axis indicate the deciles of the data). Finally, we can use this fitted model to predict height across the full extent of Australia, thereby filling the gaps in our previous figure. This retains the same general patterns as were seen in the raw data. The heights along the east coast are not quite as pronounced, and some localised patterns have not been captured by the model (e.g. the tall trees around Kinchega National Park, south of Broken Hill). Once again, the R code is available. Posted on Wednesday October, 15 2014 at 18:45:00 .